The following was also shared by Renee. Despite slight differences in the various languages the contents are the same, seven elements set in three parts: acknowledgment of sin and contrition because it offends God; recognition that God is all good and deserving of love and created us out of love; promise with the help of God’s grace never to offend him with sin in the future and to avoid occasions of sin. The first Act of Contrition we find in the Gospel of Saint Luke. 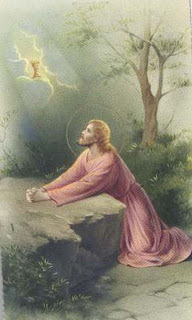 It is Jesus himself who teaches it to his disciples when he tells them the parable of the Prodigal Son: “When he had spent it all, that country experienced a severe famine, and now he began to feel the pinch so he hired himself out to one of the local inhabitants who put him on his farm to feed the pigs. And he would willingly have filled himself with the husks the pigs were eating but no one would let him have them. Then he came to his senses and said, "How many of my father's hired men have all the food they want and more, and here am I dying of hunger! I will leave this place and go to my father and say: Father, I have sinned against heaven and against you; I no longer deserve to be called your son; treat me as one of your hired men. "So he left the place and went back to his father» (Luke 15, 14-20). « I will leave this place and go to my father … So he left the place and went back to his father »: he realises his unhappy state and decides to ‘turn around’ and go back to his father. This ‘turning around’ is an act of “conversion”: acknowledging our fault, stop, ask forgiveness and resolve to change direction and walk the path of life. Proof of the Real Presence? My friend Renee shared this with me. Did dogs find in the tabernacle what many Catholics today do not? On the evening of the last day of his October 1995 visit to the United States, John Paul II was scheduled to greet the seminarians at Saint Mary's Seminary in Baltimore. It had been a very full day that began with a Mass at Oriole Park in Camden Yards, a parade through downtown streets, a visit to the Basilica of the Assumption, the first cathedral in the country, lunch at a local soup kitchen run by Catholic Charities; a prayer service at the Cathedral of Mary Our Queen in North Baltimore; and finally a quick stop at Saint Mary's Seminary. The schedule was tight so the plan was simply to greet the seminarians while they stood outside on the steps. But the Pope made his way through their ranks and into the building. 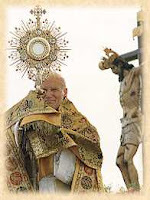 His plan was to first make a visit to the Blessed Sacrament. When his wishes were made known, security flew into action. They swept the building paying close attention to the chapel where the Pope would be praying. For this purpose highly trained dogs were used to detect any person who might be present. The dogs are trained to locate survivors in collapsed buildings after earthquakes and other disasters. These highly intelligent and eager dogs quickly went through the halls, offices and classrooms and were then sent to the chapel. They went up and down the aisle, past the pews and finally into the side chapel where the Blessed Sacrament is reserved. Upon reaching the tabernacle, the dogs sniffed, whined, pointed, and refused to leave, their attention riveted on the tabernacle, until called by their handlers. They were convinced that they discovered someone there. We Catholics know they were right -- they found a real, living Person in the tabernacle! Forgive me my sins, O Lord, forgive me my sins; the sins of my youth, the ins of my age, the sins of my soul, the sins of my body; my idle sins, my serious voluntary sins, the sins I know, the sins I have concealed so long, and which are now hidden from my memory. I know my sins have wounded Thy tender Heart, O my Saviour, let me be freed from the bonds of evil through the most bitter passion of my Redeemer. 2. 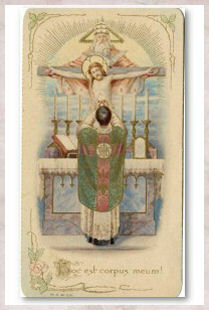 In the sacrament of the altar, the Lord meets us, men and women created in God’s image and likeness (cf. Gen 1:27), and becomes our companion along the way. In this sacrament, the Lord truly becomes food for us, to satisfy our hunger for truth and freedom. Since only the truth can make us free (cf. Jn 8:32), Christ becomes for us the food of truth. 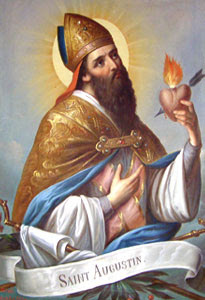 With deep human insight, Saint Augustine clearly showed how we are moved spontaneously, and not by constraint, whenever we encounter something attractive and desirable. Asking himself what it is that can move us most deeply, the saintly Bishop went on to say: “What does our soul desire more passionately than truth?” (2) Each of us has an innate and irrepressible desire for ultimate and definitive truth. The Lord Jesus, “the way, and the truth, and the life” (Jn 14:6), speaks to our thirsting, pilgrim hearts, our hearts yearning for the source of life, our hearts longing for truth. Jesus Christ is the Truth in person, drawing the world to himself. “Jesus is the lodestar of human freedom: without him, freedom loses its focus, for without the knowledge of truth, freedom becomes debased, alienated and reduced to empty caprice. With him, freedom finds itself.” (3) In the sacrament of the Eucharist, Jesus shows us in particular the truth about the love which is the very essence of God. It is this evangelical truth which challenges each of us and our whole being. For this reason, the Church, which finds in the Eucharist the very centre of her life, is constantly concerned to proclaim to all, opportune importune (cf. 2 Tim 4:2), that God is love. (4) Precisely because Christ has become for us the food of truth, the Church turns to every man and woman, inviting them freely to accept God’s gift. If you have a rosary making blog, please let me know either by emailing me or leaving a message in the comment box. Mahalo. "Do you know which are my Sundays and feast days? They are days on which God tries me the most." 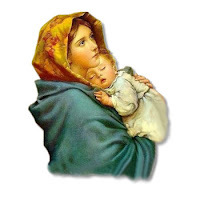 The Legion of Mary Blog has been posting excerpts of the new apostolic exhortation making it easy to follow and understand the beauty it contains. 1. The sacrament of charity (1), the Holy Eucharist is the gift that Jesus Christ makes of himself, thus revealing to us God’s infinite love for every man and woman. This wondrous sacrament makes manifest that “greater” love which led him to “lay down his life for his friends” (Jn 15:13). Jesus did indeed love them “to the end” (Jn 13:1). In those words the Evangelist introduces Christ’s act of immense humility: before dying for us on the Cross, he tied a towel around himself and washed the feet of his disciples. In the same way, Jesus continues, in the sacrament of the Eucharist, to love us “to the end,” even to offering us his body and his blood. What amazement must the Apostles have felt in witnessing what the Lord did and said during that Supper! 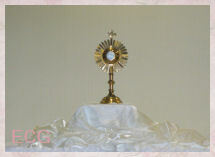 What wonder must the eucharistic mystery also awaken in our own hearts! What is a faithful man to do in the chaos of events which seem to swallow him up? He must sustain himself calmly by Faith. Faith will make him adore the eternal plan of God. Faith will assure him that to those who love God all things work together for good. Watch, thou, O Lord, with those who wake, or watch, or weep tonight, and give Thine Angels and Saints charge over those who sleep. 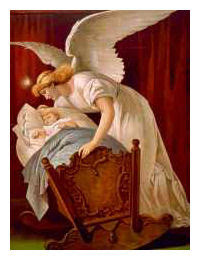 Tend Thy sick ones, O Lord Christ. And all for Thy love's sake. Source: The Grail- St. Meinrad, Indiana. Please pray for the Frank M. Foran Family. 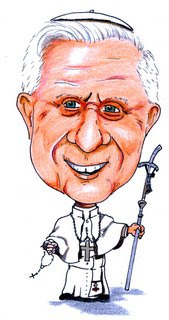 Caricature of our Holy Father is by Paul Nichols of Catholic Cartoon Blog. Keep Paul in mind if you would like to give an extra special gift to someone. VATICAN CITY, MARCH 16, 2007 (Zenit.org).- Benedict XVI says that the loss of the sense of sin in modern society has been followed by an increase in guilt complexes. The Pope explained that this link shows the human being's need for God's forgiveness, which takes place through the sacrament of confession. The Holy Father said this today when in an audience with recently ordained priests who are taking a course on the internal forum offered by the Apostolic Penitentiary. The internal forum deals with cases involving conscience. 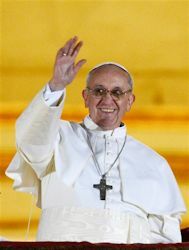 The Pontiff said that in the modern world, one perceives "a humanity that would like to be self-sufficient, since many think they can live well without God." And yet, he observed, "how many seem to be sadly condemned to address tragic situations of existential emptiness, how much violence there is still on earth, how much loneliness weighs on the spirit of man of the age of communication!" "In a word," Benedict XVI said, "it seems that today the 'sense of sin' has been lost, but instead 'guilt complexes' have increased." 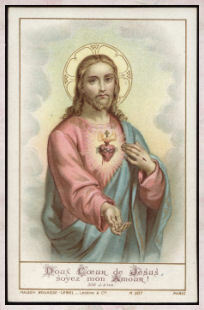 He continued: "Who will be able to free the heart of men from this yoke of death, if not the one who by dying defeated it forever by the power of divine love? 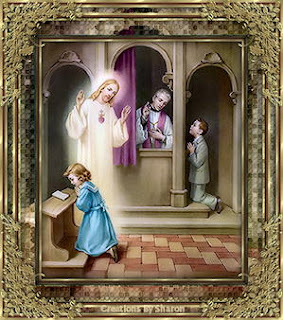 "In the sacrament of confession, the priest is instrument of that merciful love of God." The Holy Father asserted that the "commitment of the priest and of the confessor consists primarily of this: to lead each person to experience the love of Christ, encountering him on the path of life." 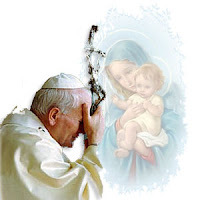 It is imperative, the Pope said, "that the priest, the minister of the sacrament of reconciliation, always feel it is his task to reflect, in deed and in the way of approaching the penitent, the merciful love of God." Click HERE the complete Examination of Conscience. MY GOD! I recommend to Thee the souls of my relations, my benefactors, my friends and my enemies, and of those who are in Purgatory on my account. I recommend to Thee the souls of evangelical labourers, of Religious and priests, and especially of those who had charge of my soul. I recommend to Thee the souls of those who were most devout to the passion of Our Lord, to the Blessed Sacrament, to the Blessed Virgin Mary, the souls who are most abandoned, those who suffer most, and those who are nearest to the entrance into paradise. mere illusions and we ourselves are only hypocrites in the sight of God, if we have not that universal charity for everyone - for the good, and for the bad, for the poor and for the rich, and for all those who do us harm as much as those who do us good. The following is from My Daily Bread by the Confraternity of the Precious Blood. 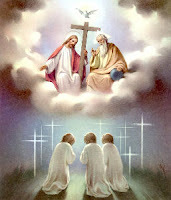 Christ: My child, if you have a good conscience, you need not have any fear of death. It is better to try to avoid sin than to try to escape death. A wise man reflects often on the hour of death, so as to be prepared for it at all times. If you want to please Me, try to become today the kind of man you would like to be at the time of your death. make this effort, and death will find you full of confidence and peace. For this must you daily strive: a healthy contempt for worldly comforts, a burning desire to advance in virtue, a love of right order in your actions, a spirit of penance, readiness to obey authority, self-discipline, and patience to bear adversity for My Sake. "The famous song 'Let there be Peace on Earth' hits the nail on the head. The theme is 'Let it begin with ME.' Are you at peace right now? Maybe, because of a misunderstanding, you are not talking to your husband, sister or brother, relative or one of your own children. Two years ago the neighbor's dog ran through your flower bed. You haven't forgiven the dog yet, let alone the neighbor". "Then we go to church and pray or sing: 'Forgive us our trespasses as we forgive those who trespass against us.' But, in human weakness, we are thinking: 'If I ever ha a chance to get even with her, she'll get it right in the neck.' Isn't it tough o be a Christian? Don't listen to your friends who tell you 'Why should you apologize and make peace? It was not your fault.' That's not what the song says: 'Let there be peace on earth and let it begin with ME.' Make the first move even if your friends think that you are getting the short end of the deal. You'll sleep better at night." "Many a divorced couple would still be together if they had learned to say: 'I'm sorry. Please, forgive me.' Something inside of us rebels. We almost choke to say: 'Please, forgive me.'" In one of the new Masses of Reconciliation, part of the Preface reads this way: In the midst of conflict and division, we know that it is You Who turn our minds to thoughts of peace. Your Spirit changes our hearts: enemies begin to speak to one another, those who were estranged join hands in friendship, and nations seek the ways of peace together. Your Spirit is at work when understanding puts an end to strife, when hatred is quenched by mercy, and vengeance gives way to forgiveness.'" Now if you are not at peace, pray hard for guidance. Then act. 'Let there be peace on earth and let it begin with ME.'" Director Calls It a "Juridical Good to Be Protected"
ROME, MARCH 19, 2007 (Zenit.org).- Amid trends to erase the divine imprint on marriage, the director of a symposium called the family "a juridical good to be protected." The congress was organized this month by the Regina Apostolorum university's Institute of Higher Studies on Woman. The congress's director, Patricia Martínez Peroni, a professor at Madrid's Universidad CEU San Pablo, explained that from the point of view of natural law, the family is the same today as it was 100 years ago. What has changed of late, she said, is that ideologies have tried to erase the divine imprint on the communion of persons that takes place in marriage between a man and a woman. These ideologies have led to "a new social engineering where the person and family are reconstructed according to new theoretical models and cultural paradigms," said Martínez. Looking at these new trends, the professor explained that current European legislation "offers the most worrying lack of protection for the family. … Although North America was the pioneer in the sexual revolution, when it comes to lashing marriage and the family, precedents already existed in Europe." These trends have lead to social policies of family orientation that are "uprooted from a correct anthropology," Martínez asserted. They have "become mere ideology and artifices of power subject to a constructivist positivism where they alienate their services from the reality of man as such." The family is not merely a biological reality but "the realm that shelters human life in its gestation and perfectible development so that the person will attain his fullness as creature with a transcendent dimension," Martínez added. The person "is by nature not only corporal but also spiritual in profound unity." Martínez concluded that "because of this, the family is a juridical good to be protected, given that it is the realm itself in which humanity develops." The following is from this church's bulletin. Jesus, Mary, I love you, save priests' souls, save souls with the great plea to repeat this act of love a thousand times with every heart beat and every breath. 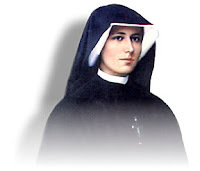 The following are quotes from the St. Faustina's Diary. 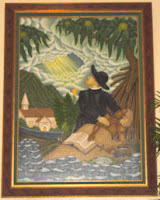 "Oh, if only I had had a spiritual director from the beginning, then I would not have wasted so many of God's graces. A confessor can help a soul a great deal, but he can also cause it a lot of harm. 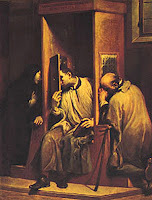 Oh, how careful confessors should be about the work of God's grace in their penitents' souls! This is a matter of great importance. 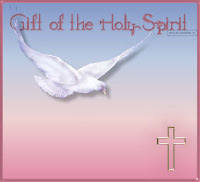 By the graces given to a soul, one can recognize the degree of its intimacy with God. "Suffering is a great grace; through suffering the soul becomes like the Savior; in suffering love becomes crystallized; the greater the suffering, the purer the love. "...A priest who is not peace with himself will not be able to inspire peace in another soul. O priests, you bright candles enlightening human souls, let your brightness never be dimmed..."
"My Jesus, to atone for blasphemers I will keep silent when unjustly reprimanded and in this way make partial amends to You". "I do not reward for good results but for the patience and hardship undergone for My sake." "Humiliation is my daily food". "When I receive Jesus in Holy Communion, I ask Him fervently to deign to heal my tongue so that I would offend neither God nor neighbor by it...Great are the faults committed by the tongue. The soul will not attain sanctity if it does not keep watch over its tongue". From the First Notebook of Divine Mercy in My Soul. 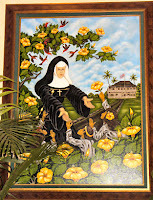 The Diary of Sister M. Faustina Kowalska. Marian Press Stockbridge, MA 01263 1987. Today has been a hard day for me spiritually. I feel that I had so many opportunities to grow spiritually but I wasted those opportunities. I started to reflect on why it was such a tough day. It occurred to me that I have been lax in dying to myself today. I did not deny myself enough or at all. For example, yesterday was a much better day for me. But then again, yesterday, I wanted so badly to add salt to my food because I didn't salt it enough but for the love of God, I did not. There were a few other little mortifications I did but you get the idea. Today, on the other hand, I read a secular magazine instead of the spiritual book I was reading. I watched TV...Oprah for goodness sakes!... instead of quietly spending time with the Lord or with my son or doing spiritual reading. So of course, the results were evident. I lost my patience with both my son and my husband. I started to find them annoying! When in fact, I must have been the annoying one. I am ashamed to mentioned what else I thought and did. I did take a holy priest's advice and asked my family to forgive me and not only that but that the next time I overreact to pray for me. My husband looked surprised but what surprised me was that my son told me he always does pray for me when that happens. It's not wonder, I come to my senses within a short period of time. I shared my thoughts with with my husband and he said "sacrifices built a spiritual fortress". 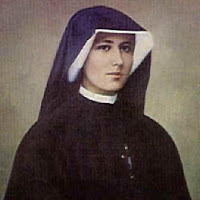 After dinner, I went to my room and just continued reading from the Diary of St. Faustina. It sure helped me realize the errors of my choices today and a resolve to to be stronger against temptations tomorrow. Who Are the People Who Are Homeless? Today we received the Institute of Human Services' newsletter in the mail. In it I found a poem that confirmed what I had often wondered about. An excerpt from a poem by Delores, a guest at IHS. Won't you please consider donating to IHS Hawaii or a homeless shelter near you. Nothing can bring greater happiness than doing God’s will for the love of God. Thanks to my dear mom, my sisters and I learned always to dress modestly. "'Father, my mother was with me when I bought it.' The girl was not being impudent. She saw nothing wrong in wearing the low-cut prom gown because her mother had been with her when the dress was bought. Boys and girls will and do find fault with their parents, but the children are quick to justify their own actions if dad and mother approve. An eight, ten or twelve year training in modesty from priests, religious and lay teachers counted little to the girl because mother approved her dress." "The world, the flesh, and the devil have teamed up in an all-out attempt to undermine the virtue of purity by battering down its safeguard which is modesty in dress. Mothers must again become mirrors of modesty if the victory over the devil's scheming is to be won." "Sad to say, the beaches and swimming pools are crowded not only girls but also by many older women who have become exhibitionists. Today a woman can be modern yet modest, or she can just be modern with a bang! So many of the styles at present are daringly extreme with particular stress on evening gowns, mini and micro skirts, plunging necklines, blouses, shorts and slacks without any slack, sun suits and swim suits". "The selection of modest gowns and summer clothing may be meager, but only women who refuses to purchases such styles will change the trend. Demand modest clothing and it will be supplied. The sale-not the virtue of modesty-is uppermost in the minds of business people. A mother who quietly tells a salesgirl that the gown is not immodest will find some such girls agreeing with her, but our ideal is not thereby attained. The salesgirl sells. The buyer of the department or the manager of the store is the person who determines what styles will be displayed and for that reason our suggestions and complaints should be taken to buyers and managers. Buying an immodest gown and building it up at home shows a sense of modesty but such a procedure increases the sales and does nothing to stop the immodest trend at its source." "When will mothers and girls begin to realize that boys and men must be helped into heaven by the ladies. What a pity that a girl's body- a temple of the Holy Spirit, a tabernacle for Christ's Body and Blood, a shrine for new life-should become, because of lack of modesty, a shameless torch to fire the passions of boys and men". Girls and boys must be taught as tiny tots to love modesty and must be corrected for immodesty. Even though they are too young to sin, they are from infancy old enough to be impressed with the beauty of modesty. However, the trend today is to leave the little ones run around in practically nothing. But what more can we expect when so many fathers and mothers work around the house in all too little clothing! I noticed typos on the original source for the Lord's Prayer. 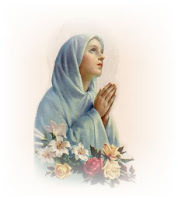 In searching for a corrected one, I came across a site containing the following Catholic prayers. a I ko makou manawa e make ai. "Sister Judith Zoebelein, editorial director of the Holy See, runs the team that builds the Vatican's Website. We have a fun talk at the recent LIFT conference, where we discuss the challenges of building a site for one of the world's oldest organizations." There is a little logo I made that you can put on your blog. ..."it is through the working of the Spirit that Christ himself continues to be present and active in his Church, starting with her vital centre which is the Eucharist". 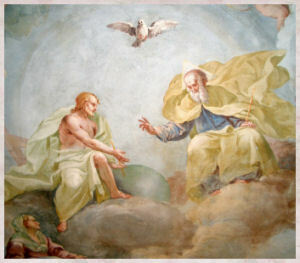 from: The Holy Spirit and the Eucharist Jesus and the Holy Spirit #12. Lentent Improvement - Temptation Cont. "Thank God when you are victorious. 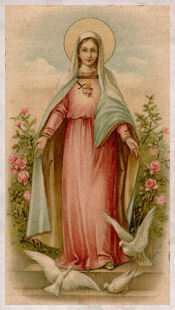 Pray three Hail Marys each ay for purity and take your Rosary to bed with you and keep praying it until you fall asleep. Build up your resistance through little mortifications, by frequent Confession and more frequent Holy Communion. Above all keep telling yourself that you can overcome temptations because God is on your side. 'God is faithful and will not permit you to be tempted beyond your strength, but with the temptation will also give you a way out that you may be able to bear it.'" 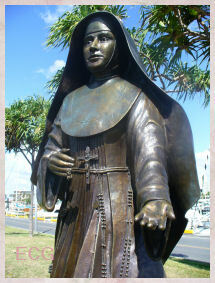 1 Cor. 10, 12.
or Lord, please make me interruptible! 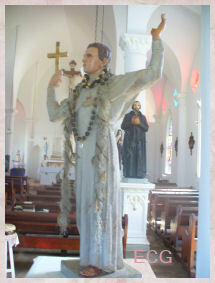 Happy Feast Day to my dear son Joey, my husband Daniel Joseph, my dear father in law, Isidore Joseph. 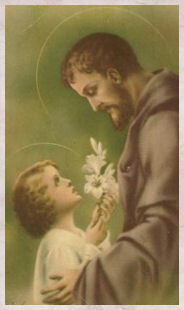 May you always be under the protection of St. Joseph. Quotable Quote on St. Joseph. Thank you St. Michael Center for the Blessed Virgin Mary. 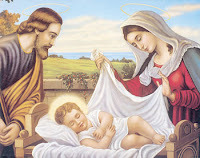 "He was chosen by the eternal Father as the trust worthy guardian and protector of his greatest treasures, namely, his divine Son and Mary, Joseph's wife. He carried out this vocation with complete fidelity until at last God called him, saying 'Good and faithful servant, enter into the joy of your Lord." 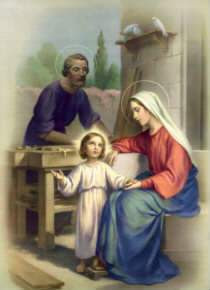 Saint Joseph a just man,' fully responsible before God and before Mary, provides encouragement for everyone on the path to the priesthood. 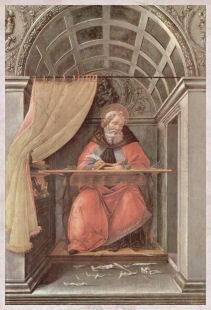 We see him ever-attentive to the voice of the Lord Who guides the events of history, ready to follow His guidance; always faithful, generous and impassive in his service, an effective master of prayer and work in the obscurity of Nazareth. Mahalo to Renee for sharing this with me. My family and I had the great pleasure of attending a beautiful Mass this morning at our parish. The priest actually genuflected as he approached the altar. He chanted the Consecration words while the Altar boy rang the bells. 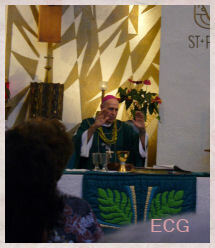 His emphasis was on the Eucharist. He purified the vessels himself and finally, he encouraged all of us to read the Holy Father's new encyclical on the Eucharist. Thank you God! Thank you Fr. Jason! God. It alone restrains Divine justice. Without Mass in the world, said St. Teresa, "all here below would perish." 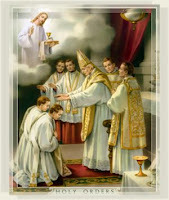 supplications can be offered throughout the liturgy, and I have found it especially effective to do it while the Host is elevated, and also when the chalice is raised. 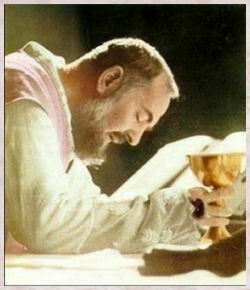 For in the chalice is now the Blood of Christ, and it is that Blood which is most powerful in washing away sinfulness. It is the Blood which was shed for our redemption. It is the Blood that demons fear more than anything, because the Blood established Christ's transcendence of the world and defeat of evil. It represents His sacrifice. Since our redemption means breaking the bondages to Satan, the Blood is extremely potent in chasing away evil spirits. During Mass we should plead the Blood of Christ. We should plead it on our lives. We should plead it on family and friends. meaning that in warding off devils, nothing is more effective. It was the Blood that defeated Satan at Calvary. "Lord I am not worthy to receive You, but only say the word and I shall be healed..."
These are the cherished moments of Mass. These are the minutes that are special beyond our ability to understand how special they are. These are the seconds when we are touching eternity. Having interceded for ourselves, our families, and the world, we have cleared the way to concentrating on our purification, and that opens the floodgates of grace, which pour forth during the Eucharist (and Adoration). Upon reception of the Communion host, we are in Christ and Christ is truly within us. Upon receiving Communion, we have all power over the enemy. As one of the documents from Vatican II proclaimed: "From this it follows that every liturgical celebration, because it is an action of Christ the Priest and of His Body, which is the Church, is a sacred action surpassing all others. Live in faith and hope, though it be in darkness, for in the darkness God protects the soul. Cast your cares upon God, for you are his and he will not forget you. Do not think he is leaving you alone. "Anger finishes all wisdom. Ego finishes regard. Worry eats away your life. Bribery finishes all justice. Greed finishes all honesty. Fear eats away a human being. The greatest jewellery in the world is your own nobility. Your own best companion in the world is your determined thought. Those who do not wish for anything receive everything. Renounce that happiness in which there is sorrow for others." "I cannot afford to overlook the influence that other people have on me. There are cases where people quarrel, fight and even commit murder because they are influenced by gossip, influenced by the words of others. To what extent do I check that I am not being influenced by gossip? Negativity in the mind is like poison. Negative thoughts are the seeds of negative actions. It might seem like a simple everyday occurrence - my friends tell me in the strictest confidence that such and such a person is like this and does so-and-so. I listen and accept without question because of the friendship. My attitude and actions now become influenced by my friends words, and I find myself acting and reacting in accordance with the information fed to me. Gossip and guessing bring sorrow, heaviness and distrust. Poison can come in many disguises, but poison is poison whether from an enemy or a friend." 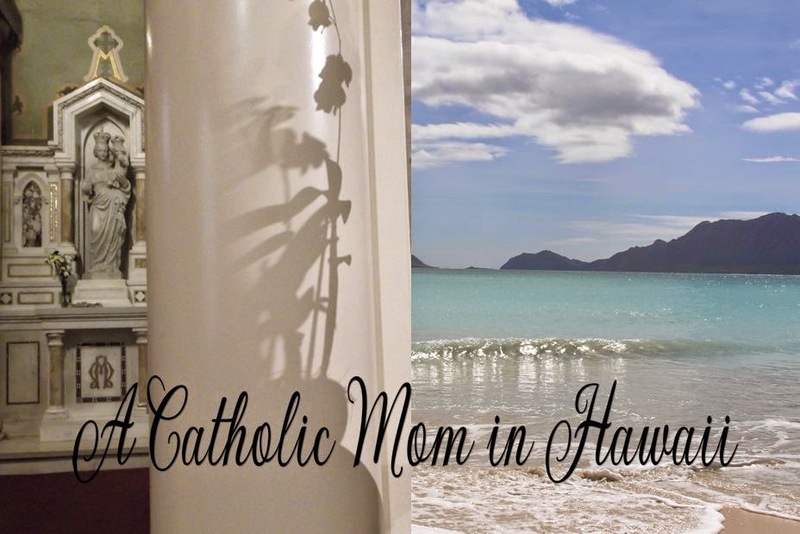 Thanks Kaylan for sharing the following article from Catholic Exchange. ..."Now, I like marshmallows — they are sweet and light and fun to eat. But I cannot make a meal of them because they have very little nutritional value. The truth is that marshmallows cannot satisfy my need for real food, and real food is necessary for my survival. So it is with worship. It is true that wherever two or more are gathered in Jesus' name, He is there also, and so in that respect, the "marshmallow churches" have Jesus among them in their worship. But there is a grand difference between Jesus present in Spirit and Jesus present in the Flesh..."
Patience is a virtue and a power too. Patience tells us that the journey of a thousand miles begins with a single step and that we get over there one step at a time. Patience teaches us not to rush. Knowing that there is a reason and a season for everything it enables us to smile at the challenges, realizing that there is an answer to every problem. And, even though we cannot see it, yet there is awareness that within every crisis lies an opportunity.